What is an adverb? What is a preposition? What is a…? These are questions that students sometimes ask when a teacher is explaining a grammar point. 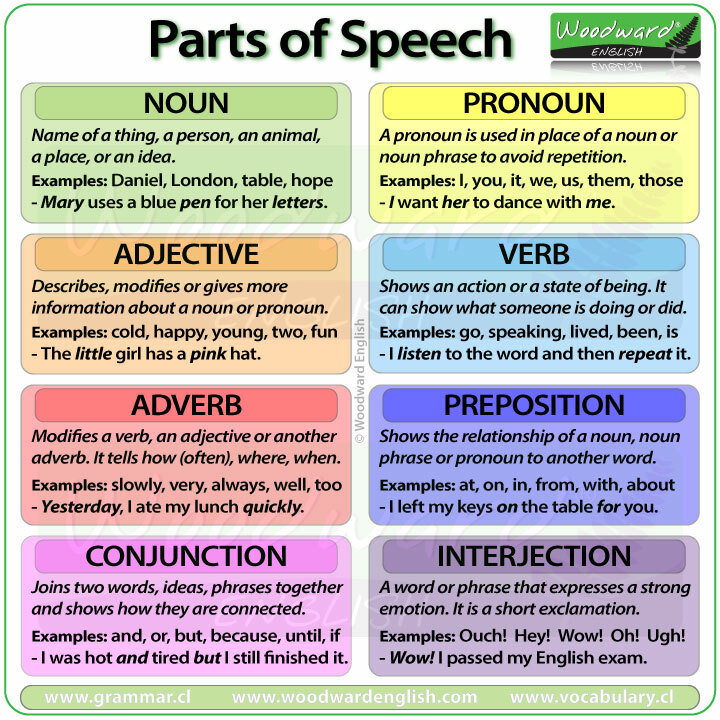 The different parts of speech (or all of those “grammar words” as some students call them) are important to know when learning English, or any other language. In order to help solve doubts about what the different parts of speech are and what functions they have, I created a summary chart and a video explaining the main differences between each one. In our ESL video, we look at the eight parts of speech in traditional English grammar. Nouns, Pronouns, Adjectives, Verbs, Adverbs, Prepositions, Conjunctions, and Interjections. 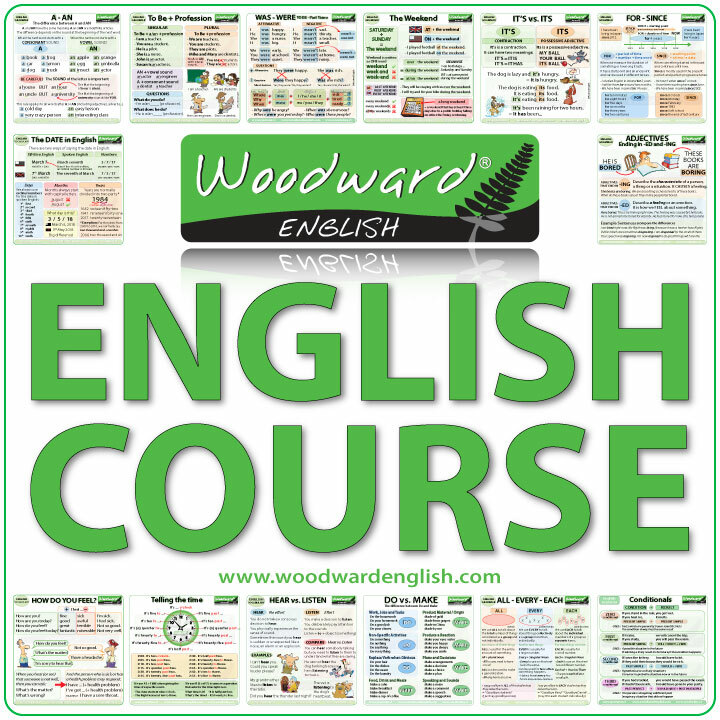 We give an explanation of how each word class is used and have included example sentences. For some of the parts of speech we also look at sub-classes such as subject pronouns and possessive pronouns, the different types of adverbs such as adverbs of manner, adverbs of frequency, etc. 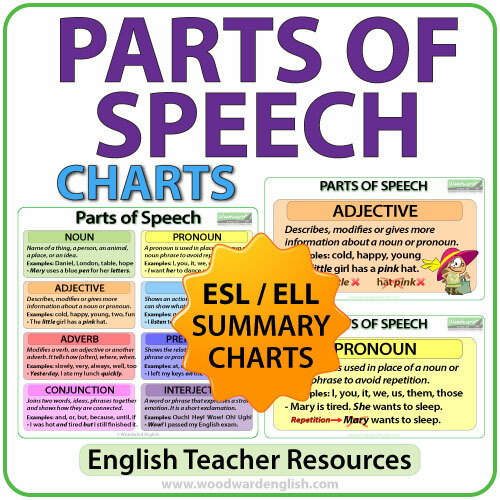 In the final section we talk about how some teachers sometimes include a 9th part of speech which can be either Articles or Determiners. Again, we include examples. This ESL video to ideal to give students a general overview of the different parts of speech in English.